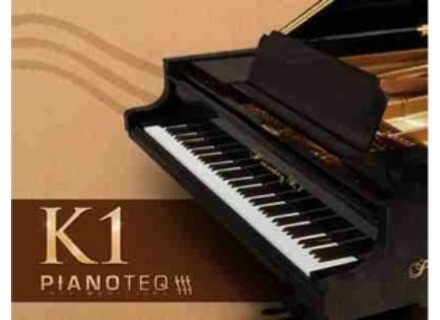 Pianoteq K1 Grand Piano, Virtual Acoustic Piano from Modartt. MODARTT expands the Pianoteq K1, C3 and M3 virtual grand pianos up to a range of 105 keys, making it the largest ever available in a piano, according to the company. With 17 keys more than the standard keyboard range, it features an extended sound palette, obtained thanks to the Pianoteq physical modelling, and can be used for example in prominent piano works by Debussy, Ravel and Bártok. The expanded piano models are included in the latest update 3.6.5 which is free to all Pianoteq customers. There is also a trial version available for evaluation. Further details with audio demos on www.pianoteq.com.